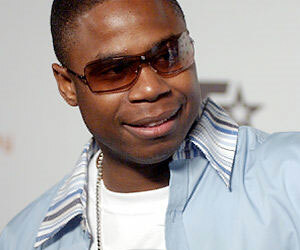 Doug E. Fresh will host a classic hip-hop show titled "The Show" Saturday mornings from 9-11 a.m. on 107.5 WBLS in New York. The new program represents the second Classic Hip Hop show on the station's lineup. Classic Flavors with hosts Chubb Rock and DJ Bent Roc airs Saturday afternoons on the station as well from 5-7 p.m.
WBLS is the only Urban Adult Contemporary station in New York City. As such it is the only station positioned in the city (other than Gospel and Praise station 1190 WLIB) to appeal to the upper part of the 25-54 demo of African American listeners with music programming. Although they have gotten a ratings boost with the demise of 98.7 Kiss FM; the Tri-state area of metro New York is under served with African American programmed stations. WBLS has to fill-in the void in programming that is a lot different than other Urban AC/"Today's R&B and Classic Soul" stations across the country. The station also features Public Affairs programming on Sunday morning with "The Open Line" and Rev. Al Sharpton in addition to Sunday evening's "The Gary Byrd Experience" with Imhotep Gary Byrd. It's the longest running radio program in New York City.